I’ve been on ziplines many times, but last summer I had the opportunity to be an inaugural guest at a new zipline before it was even open to the public. 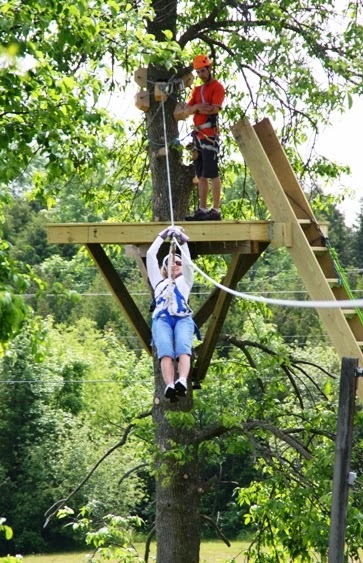 Not sure if being a guinea pig was smart, but zipping the four lines through a forest canopy at Rowley’s Bay Resort in Door County, Wisconsin, turned out just fine. 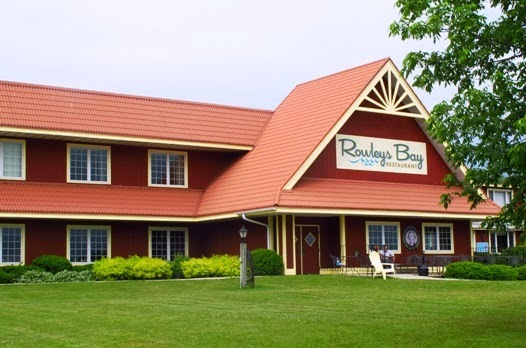 We arrived at Rowley’s Bay Resort, a folksy property that has been run by the same family for more than 40 years, on a warm summer day, perfect weather for all the outdoor activities that guests come there to enjoy. 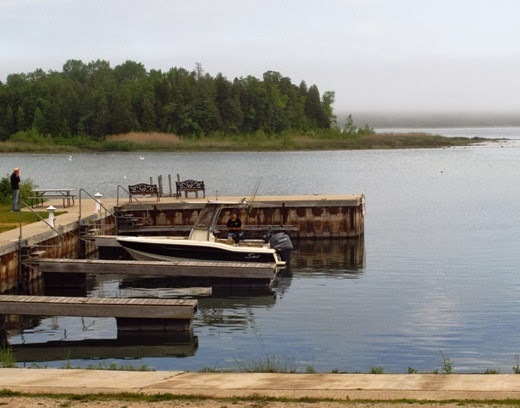 Located just north of Sister Bay, it’s situated on 100 secluded acres along a Lake Michigan bay--a peaceful setting for relaxing or following outdoor pursuits. While I’m more of a fair-weather tourist when it comes to northern climates, the resort operates year-round and welcomes winter guests to cozy cottages and suites with access to an indoor pool, exercise room, library, and glowing lobby fireplace. Bird-watching is a four season activity, with about 200 species passing through annually. Rowleys Bay Restaurant serves traditional food--and plenty of it. But back to our summer visit. With the addition of DC AdventureCenter, a recreational partner at the resort, there are myriad activities to keep guests busy. If regular zip lining is too tame, try one of their glowstick nighttime zip line tours. They also offer a variety of kayak tours and rentals, including guided tours of Lake Michigan and Green Bay, If you’re nimble in the water, hop on a stand-up paddleboard and skim down the bay to the Mink River Estuary where you can see a variety of lakeside flora and fauna. Start a variety of water activities from the dock at Rowleys Bay. May through October are the magic months for outdoor activities. Reel Addiction Charters gives fishermen have the only direct access to legendary Four Foot Shoal, one of the best places to catch trophy king salmon on Lake Michigan. Just steps away from the resort, you can launch water craft for canoeing, kayaking, sailing or windsurfing. Bring your own gear or rent it there. If that’s not enough, loosen your limbs on five miles of hiking trails (ski trails in winter) or strike up a game of tennis, volleyball, or basketball at on-site courts. Another favorite activity is the off-road Segway adventure on the resort’s trail network. Oversized tires allow the Segways to traverse trails and absorb bumps with ease. Set up a tour with Seaquist Segway located beside the DC Adventure Center building. 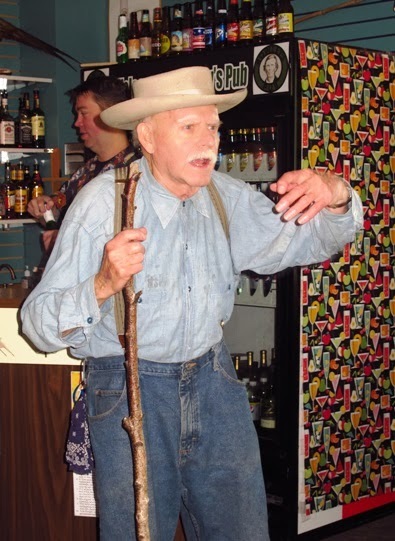 A highlight of our visit was an entertaining presentation in which an 87-year-old local storyteller named Charlie played the part of Peter Rowley, namesake of the bay who sojourned to this area 150 years ago. He tells the story of the bay’s early days interspersed with details of the traditional fish boil, a delightful experience that never fails to amaze visitors. leaves the whitefish tasting delicious. As each ingredient was added to the cauldron of water boiling outside, “Peter” described the process. Red potatoes are first, followed by tiny sweet onions. 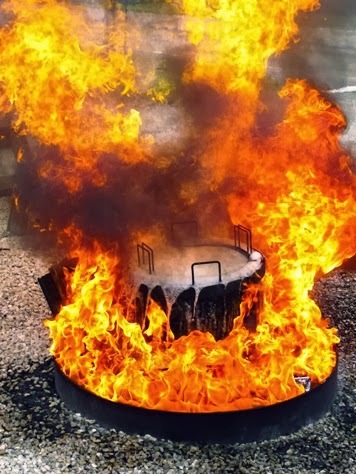 Locally caught whitefish are added just before kerosene is thrown on the fire, and the pot boils over in a spectacle of flames. The fish is then served at a massive buffet dinner featuring a large variety of meats, vegetables, salads, and desserts. I sampled several pieces of cardamon bread, a traditional Swedish coffee cake served by Jewel Ouradniks, co-owner and manager of the resort. I left with one of the famous half-pound pecan rolls from Grandma’s Swedish Bakery, started by Jewel’s mother Alice, whose recipes are faithfully followed today. Rowleys Bay Resort looks like a ketchup and mustard building.